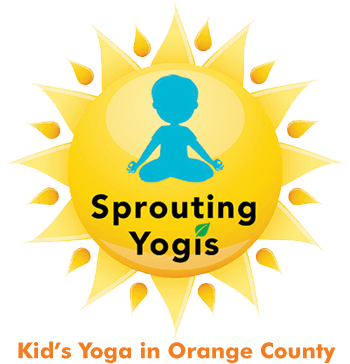 Bringing KID'S YOGA to Orange County Schools and Organizations! 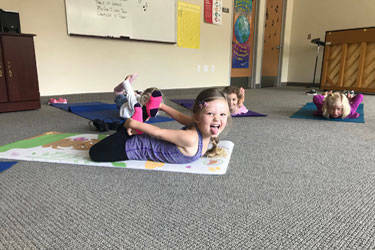 Kids will enjoy all the benefits of yoga in a fun and playful way. Yoga is for everyone, no matter how flexible you are, or what religion you belong to. Sprouting Yogis is dedicated to providing a light-hearted and safe environment for children to grow in strength, balance, flexibility, coordination, and mindfulness. 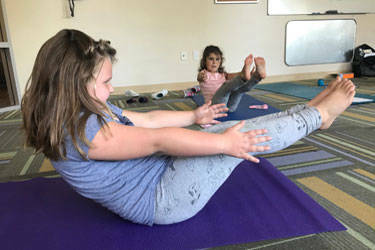 Yoga is a non-competitive way for kids to build self-esteem and confidence. It is appropriate for both the athletic child and those that might not be as comfortable with competitive sports. 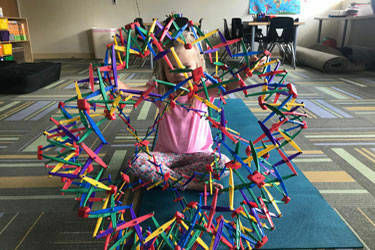 By using interactive games and animated postures, kids will build body awareness, improve concentration and focus, and learn how to release energy and relax. I have been drawn to both physical fitness and the outdoors from a young age. I love the feeling I get both physically and mentally when I am active, however, there was always some underlying layer of anxiety that I couldn’t shake. That’s when yoga changed my life and brought me the inner peace, and mind/body connection that I’ve been looking for. In 2000 I earned a BS at San Diego State University in Recreation Administration – Systems Management. Since college I have received my diploma in Nutrition, Diet, and Health Science, and earned 12 Early Childhood Education units. I am CPR / AED certified for infants, children, and adults. In 2012 I completed the children’s yoga certification through “Its Yoga, Kids” in San Francisco, Ca. and in 2014 "Kidding Around Yoga" in San Diego, Ca. Being a mom of three kids (ages 14, 13, and 10), there was no better way to combine my passion for children, yoga, fitness, and nutrition. I believe in living a fun, active and healthy lifestyle for myself, as well as my kids. I am active in cycling, running, hiking, yoga, pilates, and cross training. I feel it is important to raise our children to know and appreciate the things that make us strong. I believe it is never too early or late to start Yoga. Join us as we spread the fun and laughter, and help our families grow together. I want to enable children to gain abilities to help them achieve a healthy and happy mind, body and heart, now and in the future. Please contact me to provide a free trial class at your school! We can come to your school or home! 1 on 1. We even do yoga therapy for special needs. Please call for pricing. 949-485-9870. 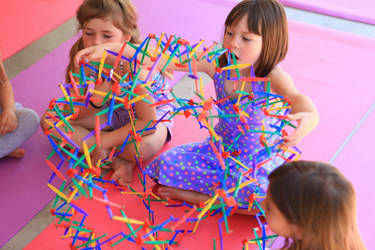 Private Group: minimum of 5 kids at $15.00 each or sign up for a 4 week session for $50 per child. The more kids the better the discount! 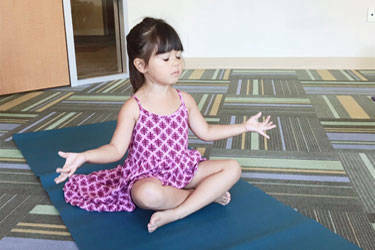 Please contact me if your studio is interested in having a kid's Yoga class! I come to you or you can come to my home studio. Vendor for Valiant, Summit, and NUA. Use charter funds! Need a parents night out? I will come to your house and babysit with yoga, mindfulness, crafts, and games. Minimum of 3 kids. Call for pricing. We come to you! 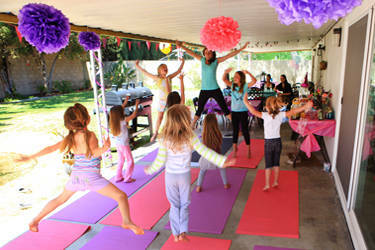 1.5-2 hours which includes set up, clean up, 45 minutes of yoga, 25 minutes of games, and activities. Pricing is based if party is within a 15 mile radious of Mission Viejo. Please contact me for an accurate quote. $175 for up to 10 kids. $12 per additional kid. If you are hosting a larger group for 16+ we can offer a group rate (option A only). $50 non-refundable deposit to reserve your spot. Same yoga party as option A only each kid gets their own mat to keep! Choose your mat color(s) ahead of time. $250 for up to 10 kids. $15 per additional kid. $100 non-refundable desposit to reserve your spot. Yoga mat painting party! 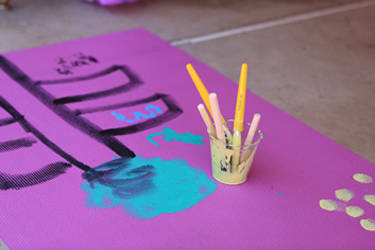 Same yoga party as option B only the kids paint their mats! The 25 minute activity time is spent painting their yoga mat. Mats, paints and brushes are provided. $300 for up to 10 kids. $15 per additional kid. 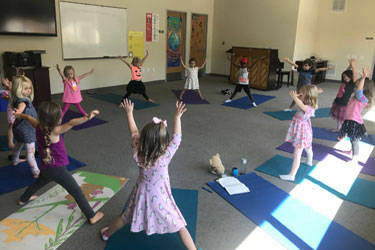 We can accommodate any theme such as Princess, Super Hero, Frozen, Mermaid, Fairies, etc., even American Girl Doll parties (each doll gets their own yoga mat for $5 extra), or just a Zen Yoga Party. We can accommodate your needs. $100 non-refundable deposit to reserve your spot. Please call or email to schedule your party! Props and visual supports will be used as needed. Fully Insured! Reid Day School, Costa Mesa. 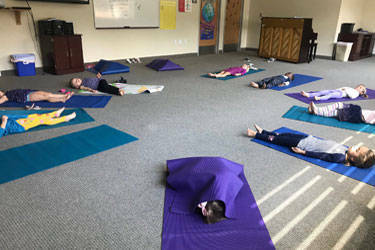 Yoga is offered as part of their Phys Ed curriculum. Private Clients with children with Special Needs, including ADHD, ADD, Cerebral Palsy, and, Autism. Vendor for Valiant Prep, Summit, and NUA homeschool charters in Orange County. I accept charter funds! Homeschool and private classes are filling up. Call asap to reserve your weekly time slot. *We provide mats. Props and visual supports will be used as needed. Fully Insured!